A little while ago a very exciting press release dropped into my inbox, along with instructions to keep hush until today (it's always very hard to keep quiet about such things!) 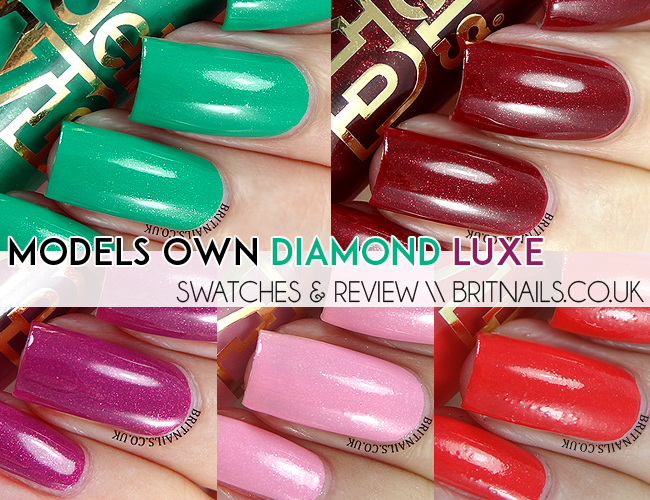 but now I can show you some polishes from the brand new Diamond Luxe Collection from Models Own! So what's special about Diamond Luxe? Well, the beautiful shimmer is actually real diamond dust! Which I must admit made me feel like a bit of a princess (especially with the pink one) and they feature never-before-seen limited edition gold caps, which look super classy. 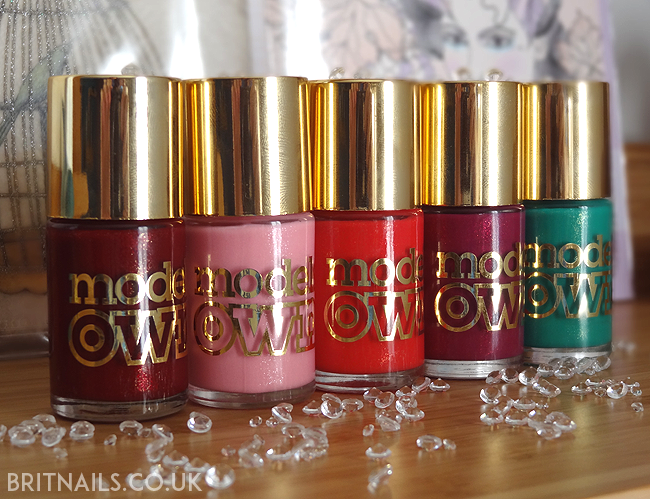 Even without the diamond dust thing, these are really nice polishes, but it's a fun feature - and don't worry, they're the same price as a regular Models Own polish! The fine dusting of subtle shimmer in each bottle is wonderfully sparkly, more so than my pictures suggest, and the darker shades especially have a really nice depth to them. They dry pretty quick, especially as you don't need many coats for most of them, but as always if you want a fool proof finish I'd always suggest quick dry top coat. Also, don't forget your base coat with the darker shades because they can stain due to the pigmentation! There are 10 shades in all and I have 5 to show you. 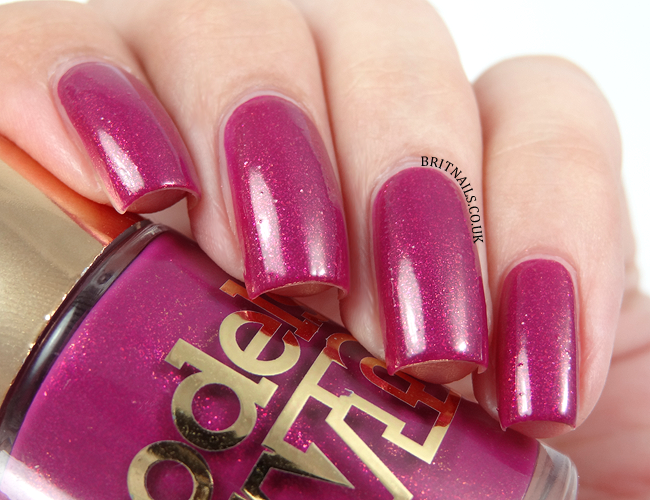 Oval Plum is a beautiful deeply pigmented plum shade with purple shimmer and teeny tiny flakes. The formula is wonderful and you could definitely get away with just 1 coat. I've used 2 (as always) plus top coat. Emerald Green is my favourite - it's just lovely! Beautiful bright green with a super-fine sprinkling of gold shimmer. 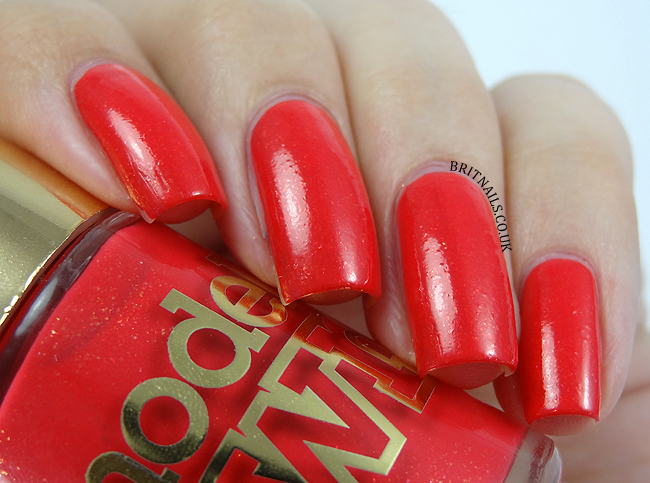 Another great, highly pigmented formula, I've used 2 coats and top coat. Princess Pink is an incredibly girly, barbie pink with silver shimmer. The formula here was a little trickier than the others and needed 3 coats, but evened out pretty well. There is definitely a place in my heart for this sort of shade! Marquise Maroon is a gorgeous deep red wine shade with red and gold shimmer. Super pigmented and only 1 or 2 coats needed! I've used 2 coats and top coat. I've purposefully put Carat Coral at the bottom because it's the one and only disappointment of the bunch. I don't know whether I got a bad bottle or not, but the formula just dried lumpy and didn't spread very well. 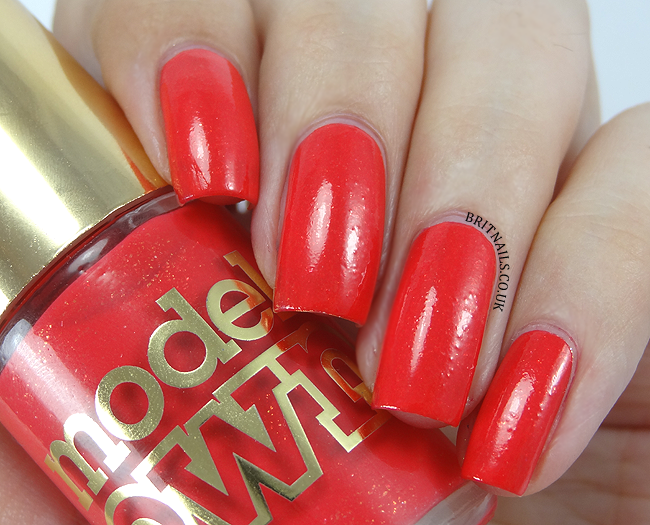 So disappointing because it looks lovely in the bottle and the bright coral colour is pretty! I didn't even want to post my swatch because it looks so bad, but I'm not going to write it off until I've heard how other people got on with it. I tried it with and without top coat but it just went lumpy each time, and none of the shimmer showed up on my nails! With the exception of Carat Coral, there isn't a shade I don't like here! The pigmented formulas are great and whether you're excited by the prospect of diamond dust or not, these are really pretty polishes. The rest of the shades in the collection look really nice too (Especially Asscher Blue) so be sure to keep a look out for them on other blogs! Emerald Green is my favourite too, it's gorgeous! theyre all so gorgeous! I especially love the purple and red shades! Oval Plum is my favourite. 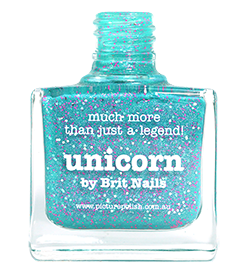 The green one looks like Barry M's Kiwi, but with shimmer. The dark red is pretty too. These all look so good, can't wait to get my hands on them! These look amazing! Can't wait to get them! This look pretty, shame about the coral one! I've just ordered Oval Plum and Pear Purple, I can't wait to see them in the flesh, I love a bit of shimmer!